Located in Austin, TX, Volusion's goal is to help breed amazing founders and enable them to achieve their goals. We're looking for top-level talent to help our merchants — and our company — grow and succeed. We create experiences for founders to create, run, and grow their businesses. Help us make the American Dream in reach for everyone. We give business owners an all-in-one toolkit to sell their products online and create remarkable stores. Our team is constantly developing and growing our product to give merchants as many opportunities as possible, and we’d love to have you on board. Culture is everything. 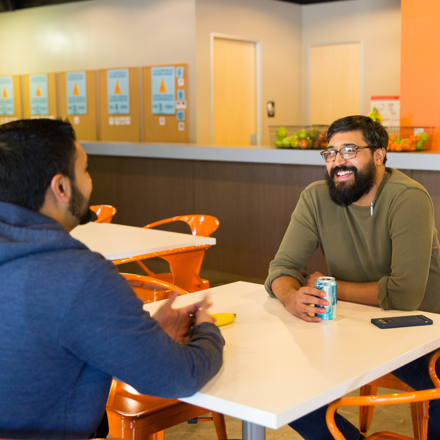 At Volusion, we believe that a strong culture leads to great products — and great companies. Our primary goal is to help founders — both outside and within Volusion! — succeed, learn and grow. We don’t over-complicate innovation: instead we leverage what exists to inform us how to make it better. We want to delight customers and help them be successful, which means providing them with fantastic products. Because happy people build great companies and amazing products! Not only do we value openness, but we also solicit feedback and keep an open mind to truly hear it. We each act like a founder and remove impediments and red tape, favoring good judgment over policy. Beyond helping our customers build successful businesses, we also offer our Volusioneers some pretty great perks! We cover health care needs across the board, to keep you and your family in top shape. Our super flexible PTO policy lets you take that sick day, vacation or other personal day without stressing out. Whether you’re a mom or a dad, you can enjoy paid time off to focus on your growing family. Keep your best friend by your side every Friday with our bring your dog to work perk! You don’t have to wear a suit here! (Unless you want to.) Our business casual dress code keeps things comfy. From puzzle rooms to paddle boarding, enjoy different outings with your coworkers every quarter.